This post was originally published on 6-12-18 and updated on 4-10-19. Sterilization protocol is a major part of every medical and dental practice’s daily routine. When considering sterilization system options, doctors and dentists look for a system that is easy to use. It also needs to be reliable, effective, and fast. Fast, effective sterilization means improved workflow and productivity, directly affecting the practice’s bottom line. 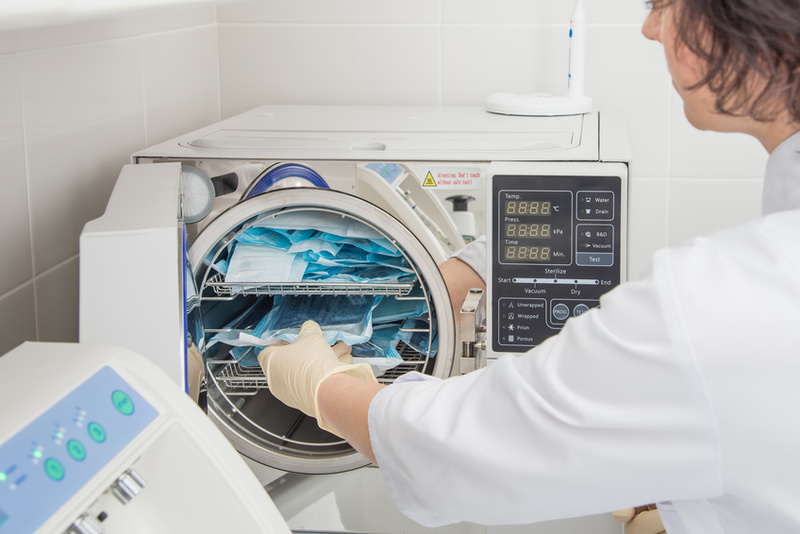 This module, sponsored by SciCan, a market leader in sterilization equipment, will introduce you to the STATIM sterilization system, the fastest autoclave available from start to sterilize. 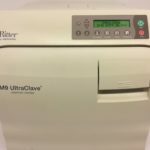 Why Choose a Statim Over Other Autoclaves? 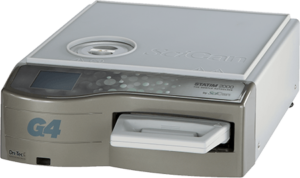 The SciCan STATIM is a reliable sterilization system that’s compact enough to fit in patient treatment areas. 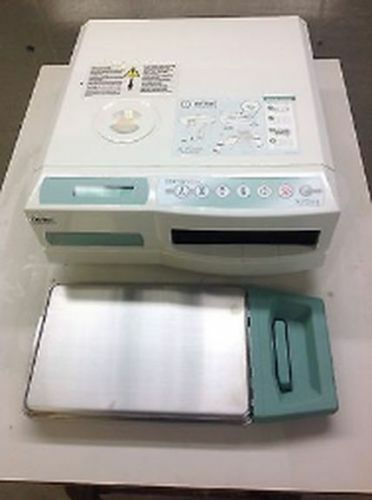 And it is also fast enough to provide sterilization of instruments between patients. 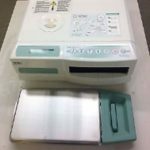 Both the STATIM 2000 and STATIM 5000 table-top sterilizers take just 8.5 and 11.5 minutes respectively for a complete unwrap sterilization cycle. But don’t let their quick sterilization time fool you. Sterilization is effective every time. And they even purge all of the air from all the small spaces of dental handpieces. STATIM’s prove their Biological and physical effectiveness in tests given on a wide variety of dental handpieces. 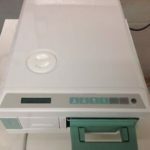 These tests validate compliance to the new European standard, EN 13060, for small steam sterilizers. What Makes the Statim More Efficient? Statims don’t fill an entire chamber with water and heat it, but rather they inject steam into a cassette. These light, thin-walled cassettes provide rapid heating and cooling, further minimizing overall processing times. Independent tests show that STATIM delivers dramatic improvements in process efficiency also. 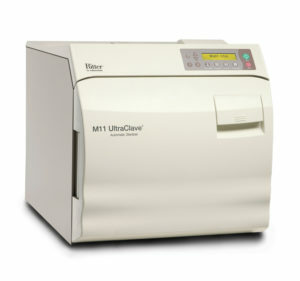 It does this by using a shorter cycle duration than larger volume autoclaves. A Statims advanced microprocessor controls all functions, eliminating overheating and temperature spikes, maintaining optimal sterilization conditions from start to finish. 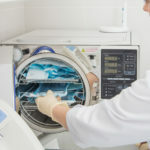 Transfer loose unwrapped instruments washed in SciCan’s HYDRIM instrument washer or in the STATIM 2000 or STATIM 5000 baskets, directly to the STATIM 2000 or STATIM 5000 autoclaves for an additional measure of convenience and speed. 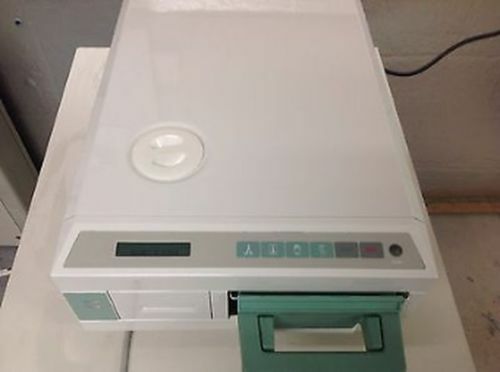 Then when sterilization is complete, the dental staff can work directly from the STATIM cassette tray as a convenient, chairside instrument organizer. How Does the Statim Sterilize Differently? The key to the STATIM’s fast sterilization is in the unique design of the pressure chamber and controlled steam system. No water chamber needs to be heated, saving valuable time. Press Start and the steam generator heats to the optimum temperature. Then distilled water pumps in and converts to steam, and a wall of steam injects into the instrument cassette. While safely purging the air surrounding the instruments the steam courses through the cassette and collects in a condenser bottle. Pulsing the steam through the instruments using a rapid succession of pressurization and venting removes the air from the small spaces of hollow instruments. This process repeats three times for unwrapped, and six times for wrapped instruments, to ensure complete air removal. The Statim then holds the instruments in saturated steam, under pressure, for the prescribed temperature and time. For example, 134 degrees Celsius for three minutes. At the end of each cycle, when the machine has vented, a small compressor switches on, drying and cooling the instruments rapidly. So They’re Faster – But are they Safe? 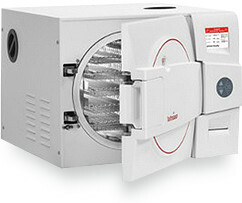 STATIM cassette autoclaves have a process evaluation system that is designed to monitor sterilization conditions. And they abort the cycle if any failure to achieve these conditions occurs. A state of the art, user-friendly keypad displaying clear prompts, make STATIM easy to use and maintain. It is self-diagnosing, so if a problem occurs, it will be indicated on the electronic display. STATIM’s operation is fully automatic. Simply select one of three programs and begin the cycle with a touch of the keypad. Are the Rapid Cycles Hard on Instruments? Scican Statims prolong the life of expensive and delicate instruments with their gentle sterilization. The STATIM cassette autoclaves use clean, distilled water with every cycle, preventing the buildup of hand-piece lubricant and other water contaminants. The patented steam pulsing system ensures temperature consistency, and it quickly expels the air that causes oxidation, preventing instrument rust and corrosion. Rapid heating and cooling dramatically cut instrument exposure to heat, enhancing instrument longevity. Also, after sterilizing, a built-in compressor flushes the chamber with filtered dry air, further reducing humidity. Surgical instruments, scalers, hand-piece turbines, fiber optics, and hinged instruments look and operate flawlessly for years. What makes the STATIM so fast? A STATIM does not need to heat an entire round chamber with water because it injects steam into the instrument cassette. Why is the STATIM better for instruments? Unlike other sterilizers, there is a reduction of 99% of the air inside the cassette. By eliminating almost all the air, STATIM prevents oxidation and rusting. Which STATIM is appropriate for my office? A STATIM 2000S will fully support a one or two dentist practice. A STATIM 5000S is recommended for a practice with more than two dentists and two hygienists. It is also recommended where larger implant instruments are used. Are the quick run cycles hard on the STATIM unit? Made to operate constantly throughout the day a STATIM operating 15 to 20 times per day is considered normal operation. Key Points of the STATIM System. Its compact tabletop design conveniently fits in patient treatment areas. Ultra-thin wall cassettes allow for rapid heating and cooling, for fast in between patient sterilization. 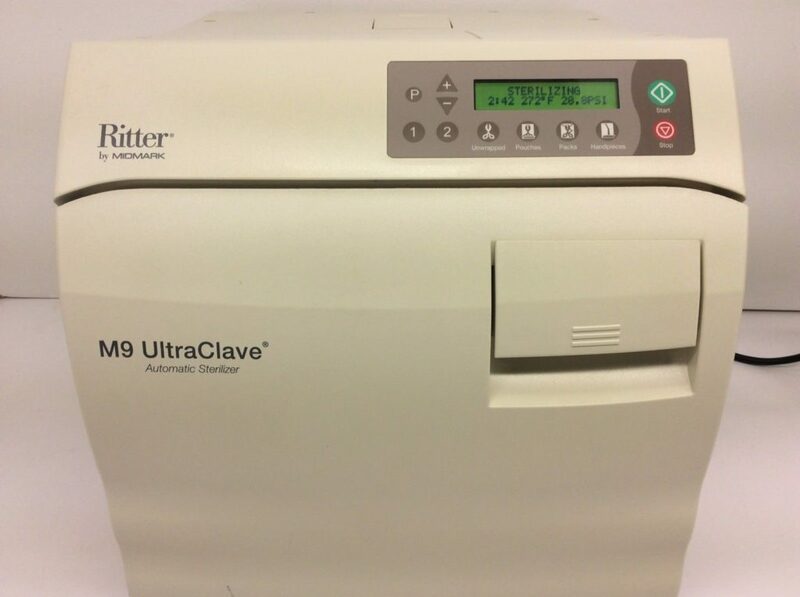 Sterilization is reliable and effective, removing all of the air from the small spaces of dental hand pieces. Gentle sterilization prolongs the life of expensive and delicate instruments, keeping them rust and corrosion free. Simple, user friendly keypad allows for easy operation. STATIM’s fail safe process evaluation system feature aborts the cycle if any failure occurs. Self-diagnosing ability indicates problems on the electronic display. Who Would the Statim Benefit? Recommend STATIM to your dentist, medical professional, Medical Surgeon, Ophthalmologist, Tattoo artist and even Piercer. STATIM will help meet their workflow challenges in several ways. First off it crushes today’s regulations for stringent infection control protocol. It is money well spent as your dentist will quickly appreciate the quality of the STATIM system. And they will experience improved office productivity and profitability. Interested in buying a Statim 2000 or Statim 5000? Check out these links. ← Wet Packs: Why Do They Form and What Can You Do About Them?